We can help you with yard drainage and yard grading in the greater Boston area at a reasonable price. You will have a more even yard that will dry after heavy rains more quickly with proper yard grading. For problems related to water in your yard, your basement is flooding, the first action we take is to check if your drainage and grading has any issues. The main factors that influence the interior problems are represented by poor downspouts, a grade that slopes towards the foundation and also other exterior problems. One of the services we offer in the Boston, Lakeville, Cambridge, Shrewsbury, Weymouth, Burlington, and Reading areas is yard drainage and grading, for an affordable price. After the procedures, your yard will be more even, it will dry much faster after heavy rains, so that means you will have a better yard grading. In addition, in this way, your foundation, basement or crawlspace will not be affected by water anymore, when it is heavily raining. The gutters are the main element when talking about a good drainage system. Their main purpose is to direct the water away from your foundation, when it rains. Downspout extensions are important elements we use for making sure that water is drained at a large distance away into your yard. Also, it is important to check if the gutters are made the right way, and they are not clogged. When a french drain is installed the right way, it expels the water our of your basement after collecting it. Also, besides the fact that a french drain can collect water from underneath a foundation, it can also collect it from your yard. So it can be used both outside, directing the water away from your place, and inside, directing it to the sump pump. 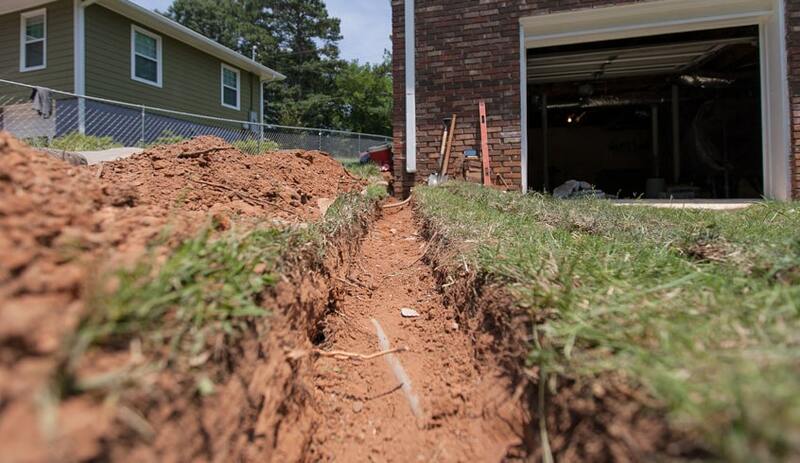 Being buried, the efficiency of french drains is influenced by gravity. Having the proper minimum downward slope will ensure the drain works at maximum efficiency..
Our experience in installing french drains has been remarkable for decades. We ensure you that after using our services, you will never have to worry about clogging or backing up. To avoid water entering your basement, pooling at your foundation, you must take care of the slope of your yard. Our team of experts can work on improving the slope, making it have the minimum level of disruption. 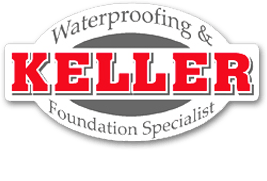 For any questions you may have or for more information about the drainage and grading techniques we use, contact Keller Waterproofing & Foundation Specialist now. Please fill out the form below and one of our drainage and grading experts will contact you within one business day to discuss how we can help you.